Klinkenberg Zaanstad BV specializes in internal transport and bulk handling using screw conveyors. 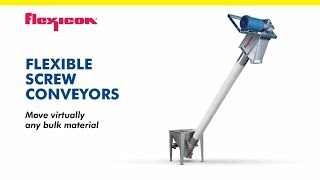 Klinkenberg Zaanstad BV manufactures and delivers an extensive range of screw conveyors (through conveyors or tubular conveyors) for various products and industries. Other products we produce live bottom screw feeders, hoppers with screw feeders, stilling basins, agitated screw feeders, dosing screws, cooling and heating screws for sterilizing and pasteurizing and, of course, individual screw augers and augers of other types. We also design dewatering presses for waste, bag compactors and chain/bucket elevators, plus paddle mixers and spiral mixers for various media. Since a few years ago, anyone using screw conveyors has had to deal wit the ATEX directives. This remains a hot item in the industry. For that reason, Klinkenberg Zaanstad has specialised in supplying ATEX-certified screw conveyors. To determine which category a machine falls under, |it has to be tested by the EU’s Notified Body. For us, this is the TÜV.